A delegation from Yunnan University (YNU) visited Fudan University, one of China’s most prestigious universities, from April 2 to 3 to discuss the specifics of their training partnership. The YNU delegation was led by vice-president Ding Zhongtao and consisted of representatives from the university’s Department of Academic Affairs. On the evening of April 2, the delegation met with YNU students who were participating in a two-year study program at Fudan University. 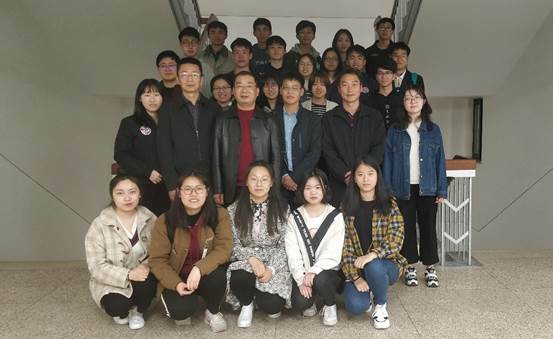 During the meeting, Ding learned about the students’ life and studies at the university, and listened to their suggestions for developing a joint training program. Ding also voiced his expectations for the students, telling them to count their blessings, confront difficulties, and be disciplined. On the morning of April 3, the YNU delegation attended a meeting with Xu Lei, vice-president of Fudan University, and other representatives to discuss the specifics of developing a training program. A joint training program was launched by the two universities in 2010. According to the original agreement, YNU would select five freshmen from each of the nine departments, including philosophy, Chinese language, history, bioscience, physics, mathematics, and chemistry, to study at Fudan University for two years. After the two years, the students would return to YNU for their fourth year of study. A total of 349 undergraduates have participated in the program.